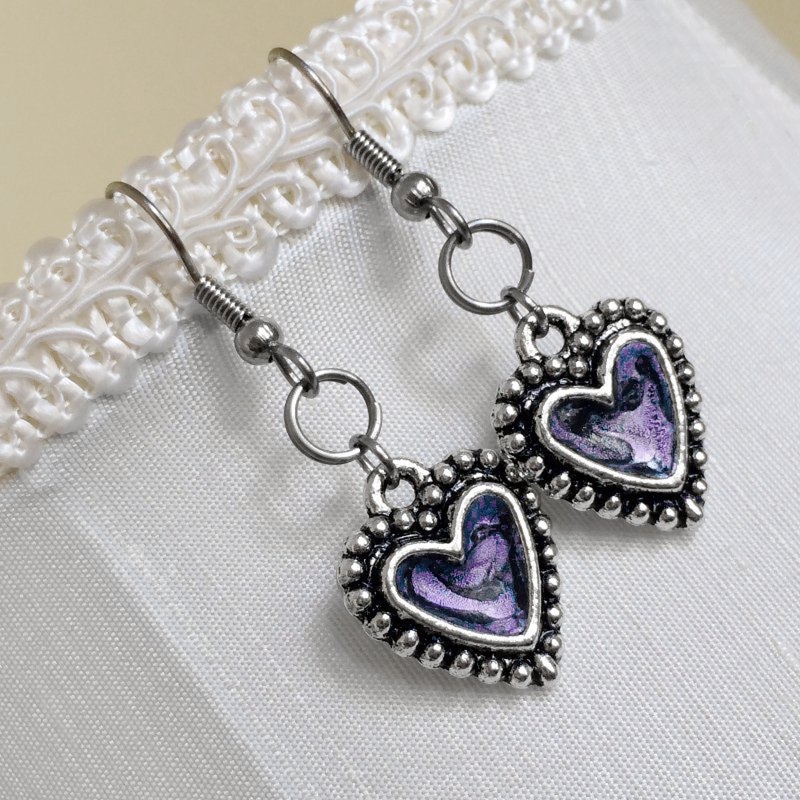 Bring a little edge to your every day jewelry with these heart earrings! Each heart is framed by small silver balls ages with black. In total, each heart is 9/16" wide at its fullest point and 10/16" high. 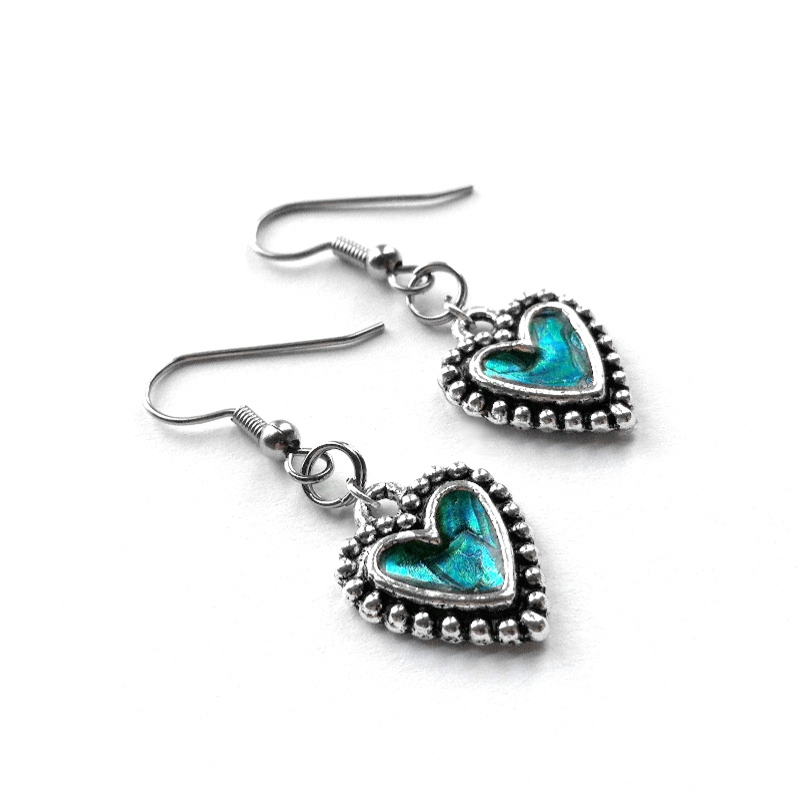 The pictures feature the hearts with a stunning teal and black metallic hand-filled center. The final marbled pattern will vary slightly on each pair since they are handmade. 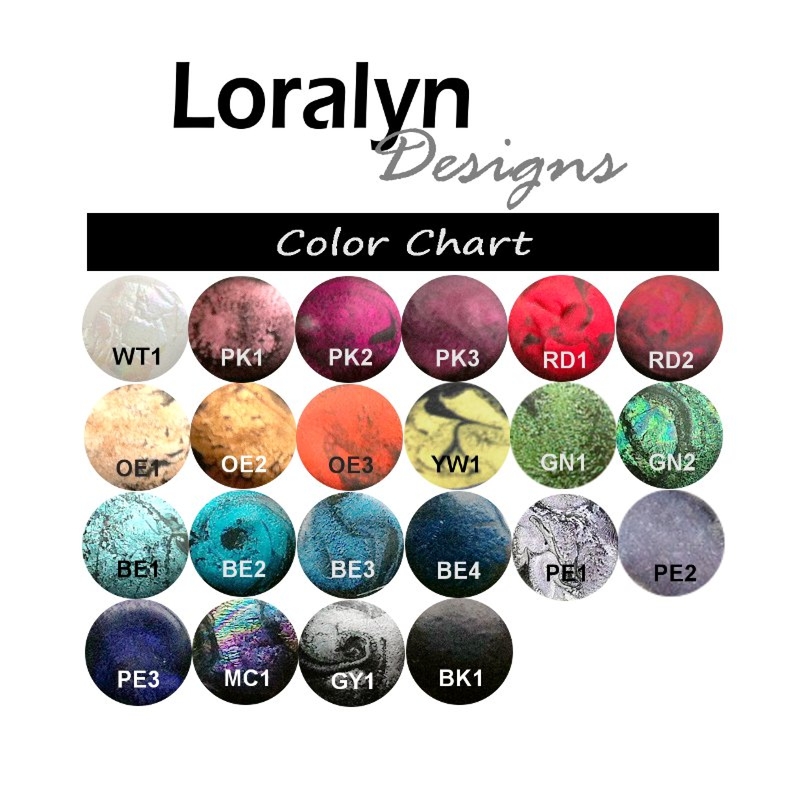 OVER 20 COLORS AVAILABLE (See color chart - 4th picture). Stainless steel jewelry is rust-resistant and durable. Unlike silver, it will not corrode and it is not susceptible to scratches, dings or dents. Stainless is also a great alternative for people that have skin reactions with other types of metals. 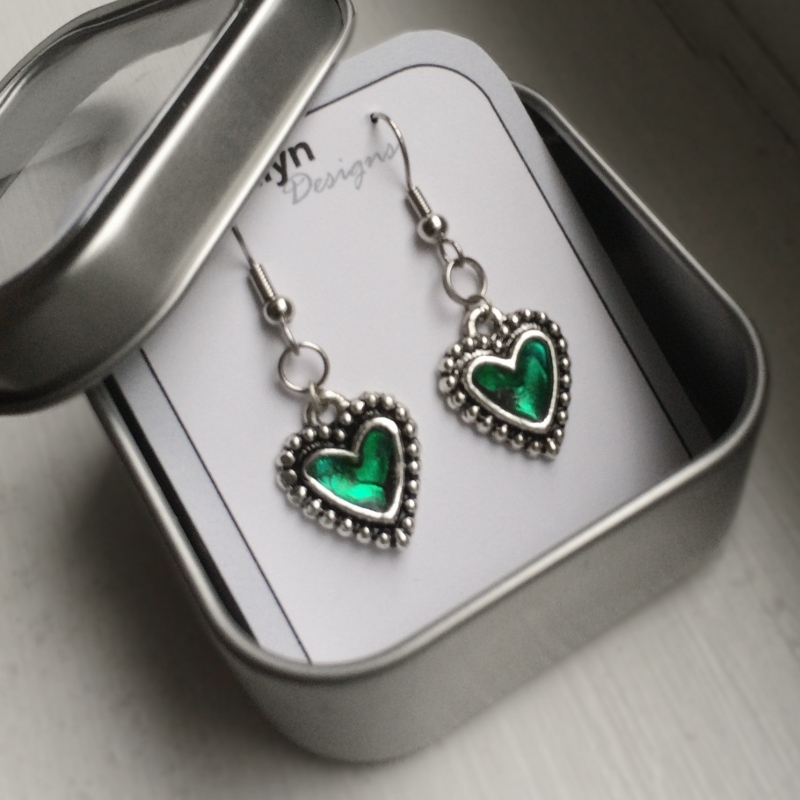 These earrings come in a silver tin with a clear lid. Great for gift giving!